Commuters in suburban New Orleans, specifically those in the Lower Ninth Ward and St. Bernard Paris areas, found a welcome surprise May 19. 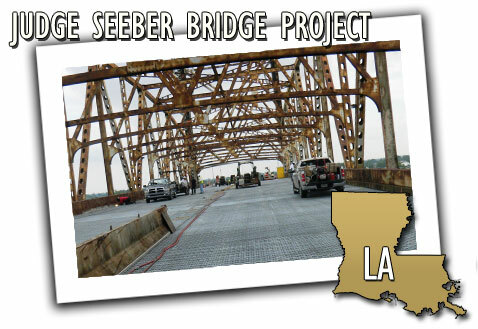 The Louisiana Department of Transportation and Development opened the Judge Seeber (Claiborne) Bridge 24 hours ahead of schedule, bringing with it much needed congestion relief. "We are thrilled to be able to deliver this $6.7 million project ahead of schedule," said Michael Stack, DOTD District Administrator for the New Orleans area. "We knew it was a priority to the community for us to push to get this bridge back online as soon as possible, so we did our best to do so." The project, designed to extend the life of the existing structure, began in September 2009, with Boh Bros. Construction Co. as the contractor. The bridge, which closed for the final phase of repairs on April 2, underwent repairs to the electrical and mechanical system, and also required the installation of wire ropes along with a deck replacement — the most recent repair. The project timeline was scheduled to accommodate major holidays and events in area, including Mardi Gras, and to ensure completion before the 2011 hurricane season began, providing a safe, functioning evacuation route for citizens should it be needed.